MILKING THE GOATMACHINE goes black & white! You've read correctly. After a much too long pause prescribed by well-paid psychiatrists, the hoofs scowle in the goat's stable again! The goats will return with a new album next week. Inspired by diabolical black metal music the album is entitled "Milking In Blasphemy" and will be released March 31st, 2017 via NoiseArt Records. Today, the band presents the first track-by-track trailer of the new record. "Who is she? A Fan? A stalker? Or sent by satan? We don't know! But she is possesed by us and creeps around our place for months. So what can we do? Right! We made a song about it!" The latest Album "Goatgrind" was released in 2015 via NoiseArt Recrods. TROLLFEST have been neglecting Norway for a long time! But fear not, redemption is at hand! 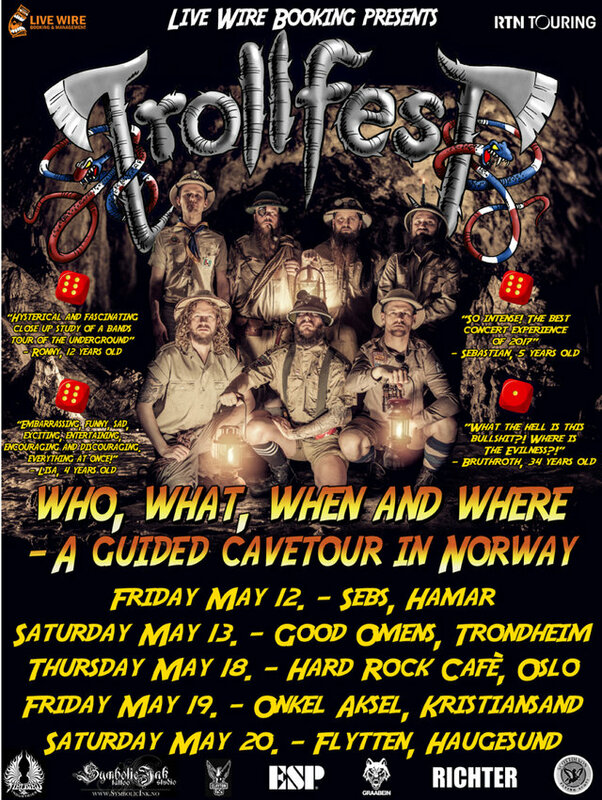 In May, the Trolls will expand the expedition throughout their Motherland, and they are ready to spread their mad joy of playing, and of course their new album, HELLUVA, over the fjords, mountains and straight into your hearts. It will be the craziest norwegian metal show ever (that's a garanty), bereft of self-importance and pretentiousness, but full of pride and radiance! TROLLFEST are in ecstasy over their latest creation, and HELLUVA will be showcased with both funk and ferocity! If you know what's good for you; bring your best beer holding device, jump (or squat) on down to your local stage and join the madness! Kaos to the people! Trollfest har neglisjert Norge i lang tid!! Men frykt ikke! Nå kommer sjansen for godtgjørelse! I Mai strekkes ekspedisjonen gjennom vårt fedreland, og Trollene er klare til å spre sin spilleglede og ikke minst sin nye skive, HELLUVA, over norske fjorder, fjell og inn i deres hjerter! Det kommer til å bli tidenes galeste norske metallshow (det er en garanti), fri for selvhøytidelighet men stappfull av stolthet og utstråling! Trollfest er i ekstase over sin seneste kreasjon, og HELLUVA kommer til å bli vist fram med mye brask og en dæsj med bram. Hvis du vet hva som er godt for deg; ta med ditt beste ølkrus, hopp ned til ditt lokale spillested og bli på galskapen! Kaos til folket! 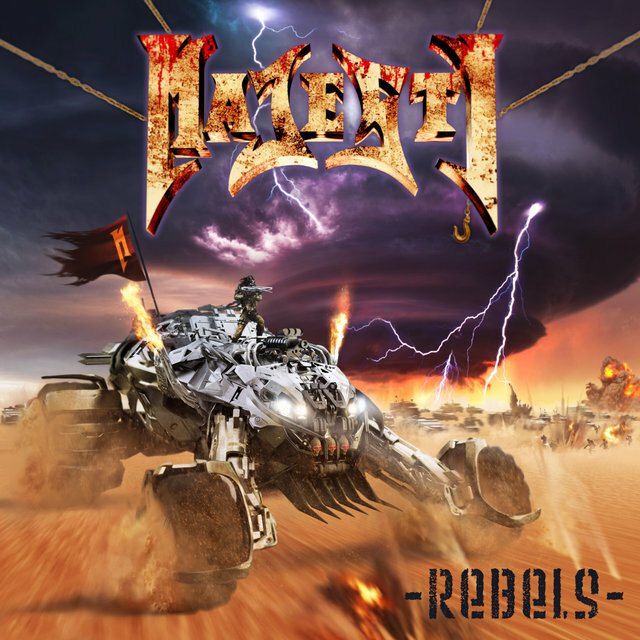 The finnish theatrical metal newcomers LOST IN GREY shied the public so far. But today, their long awaited and fantastic debut album „The Grey Realms“ is finally out. 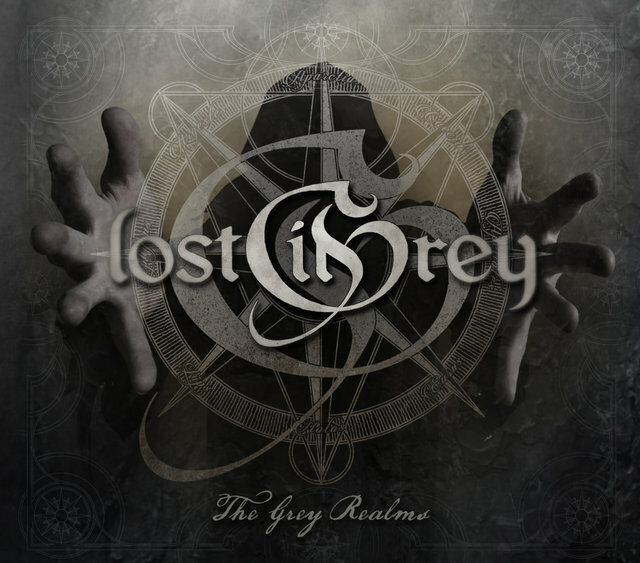 Inspired by symphonic and folk Metal, but also by film soundtracks and the beautiful nature in Northern Finland and Norway, LOST IN GREY succeeded in creating a breathtaking work of art that keeps listeners under its spell from first to last second. The day has come to open the gates to The Grey Realms. so are there multiple stories, and several different routes to enter them. whatever path You choose to take. LOST IN GREY are without doubt one of the most promising newcomers within the last years, electrifying their audiences through their suspense-packed story and the terrific sound setting. Find yourself at the edge of your seat when you join protagonist Lillian on her way into the Grey Realms, and journey with her into a world in which Good and Evil come in various shades of grey and where Truth and Lie are difficult to tell apart. Listen to a piece of art whose lyrical concept becomes an inseparable union with the musical compositions and all graphics around the album, showing the talent and commitment of each of the band's members. MILKING THE GOATMACHINE goes black & white! You've read correctly. After a much too long pause prescribed by well-paid psychiatrists, the hoofs scowle in the goat's stable again! The goats will return with a new album this month. Inspired by diabolical black metal music the album is entitled "Milking In Blasphemy" and will be released March 31st, 2017 via NoiseArt Records. Today, the band presents the music video of the second single "Nemesis Bettina".